I was recently engaged in a meeting with a mate in North Wales and travelled back down through Mid Wales. As we were driving through Newtown we passed the train station and I happened to glance at the train and the bored commuters. When lo and behold, I spotted the almost extinct Newtown Panda. I kid you not. 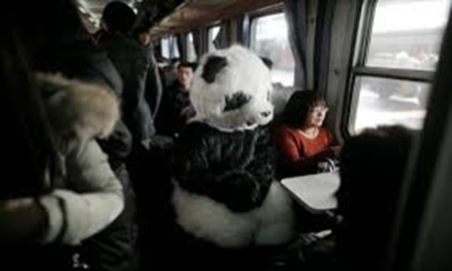 There was a life-sized Panda sat in a seat on the train (and no, I hadn’t been drinking). It must be a regular occurrence as nobody seemed unduly bothered. I wondered if the “Travelling Chef” had any bamboo shoots to give him. I knew they had successfully introduced a Red Kite breeding programme into Mid Wales but I wasn’t aware that they had done the same for Ailuropoda melanoleuca (you look it up, I had to). Talking of Pandas: Did you hear about the party at the Chinese zoo? It was Panda-monium. What goes black, white, black, white, black, white? A panda rolling down a hill. All you devotees of the worlds’ stock markets will know of the Dow Jones in the US and the FTSE in London but did you know that the French equivalent is “The CaC”. Something to remember there before you make your next investment in Europe. Appointing a presenter who has no knowledge of property matters. Appointing a presenter who completely ignores the brief the lucky couple gives them. You know the sort of thing “We need a four bedroom house with room for a pony”. They are shown a top floor flat in an inner city area” with the presenter wittering on about how ideal it would be. Alternatively, the lucky couple cannot agree about what they want and then slag off everything they are shown throughout the programme. This leaves the presenter looking for a new/old farmhouse with and without beams, with a ménage and nowhere near horses, within a five minute to three hour commute to their offices. Get a divorce…… it will be cheaper and easier in the long-run. 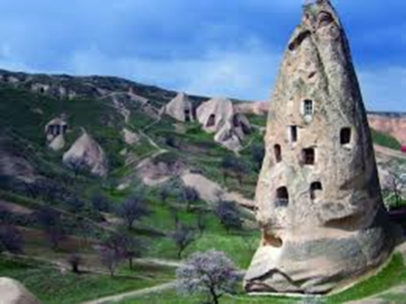 And another thing, the said couple have not sold their own property and so are in no position to seal the deal if by some quirk of fate the presenter manages to find them that igloo which doubles as a lighthouse on the side of a volcano in the centre of Paris. And as for the mystery house, it’s a mystery why the presenter chose something that nobody had even loosely asked for. I haven’t finished yet. The bit that really caps it all is when the couple always insist on having a large enough house for entertaining with sufficient bedrooms to house their family and friends when they come visiting. Have I got news for you! Given the clear social inadequacies and annoying behaviour you have demonstrated throughout the programme (and these are the highlights we are being shown remember), your family and friends (if you have any), cannot wait to see the back of you and will be holding a party themselves once you have moved. They will not be visiting and you will not be entertaining anyone. Phew, I feel a bit better now. Well my friends we have just booked our Summer Holibobs to Greece once again and will be staying in Kassiopi, again. As part of our extensive research into the area I came across this advert on a Kassiopi Restaurant website. “The view of the sea is a combination of the natural landscape and the history that give the suitable calm with the music to travel you in a world of senses.” We love our Greek friends and there are many nuggets to be found like this one but we can forgive them the language issues, after all, they invented most of it. Efharisto, as they say. However, in related matters……….My Leader of the Opposition is an accomplished dancer and treads the boards along with her friendly coven, on a regular basis, which people pay good money to watch. Even if I say so myself, they are very good and if you ever have the chance to attend one of their soirees I would encourage you to do so. However, I have to report chums that I was again confused having read a recent article in the newspaper which described a no doubt highly skilled and professional dance show which aired locally. I know I have made comments like this before but instead of saying how good they were and encouraging us all to go and see them, we were given: “They take us on a journey to understand our collective identity and our desire to mark out a name for ourselves, asking questions we all need answers to.” So it’s not just the Greeks then? Talking of exotic places, my friend told me he was going to a fancy dress party as an Italian island. I said to him: Don’t be Sicily. I don’t know if you were following that story where a dad and his boy took a selfie with a smiling horse in the background which subsequently won them a photographic competition and a free holiday courtesy of Thomson. This was the one where the owner of the horse then claimed that she should share in the prize which was a sentiment supported by her equally deluded father. I am glad to say that common sense has prevailed and there has been a victory for the people who actually do something in order to be rewarded. In the first instance Cardiff based Capital Law confirmed that the horse owner had not one equine leg to stand on in the intellectual property stakes (see what I did there). More importantly though, a Thomson spokesperson said: “Despite the questions over foal play the family will be receiving their holiday and we are sure they will hoof a good time”. Hurrah. 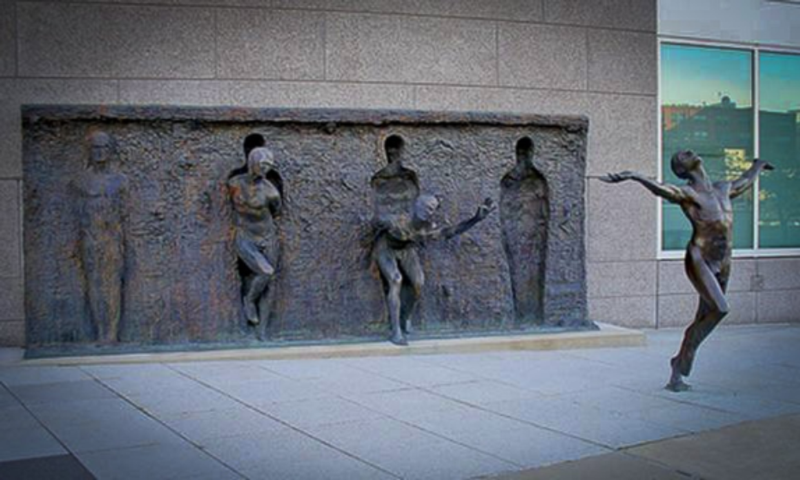 And finally, what about this for a piece of artentitled “Freedom” by Zenos Frudakis. He might be Greek too. A new one on me but the rest of his work is pretty impressive. You see art can be uplifting but no doubt somebody somewhere will be saying that this work represents the struggle from pupae to butterfly as we move from the clay that has formed us to embrace an all too short existence. Whatever!